Today is family day. A whole day to devote to family fun. We woke early to get started on our day. An early breakfast and we quickly readied ourselves for a morning outside. 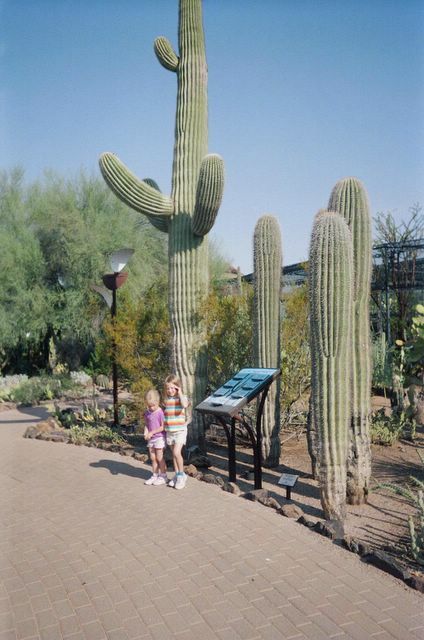 We wanted to see the Desert Botanical Garden. Good thing we got here early. It was HOT even at 7am. We spent the morning there looking at the plants and the other displays. Seeing the cactus up close was quite an experience. Their enormous size was unexpected. You can see how if one fell that they would do some massive damage. We learned that many birds rely on these "trees" for food and shelter. 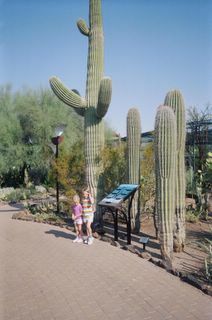 There are so many plants found in the desert we were impressed with how productive they can be. Seeing some of them in bloom is well worth the visit.